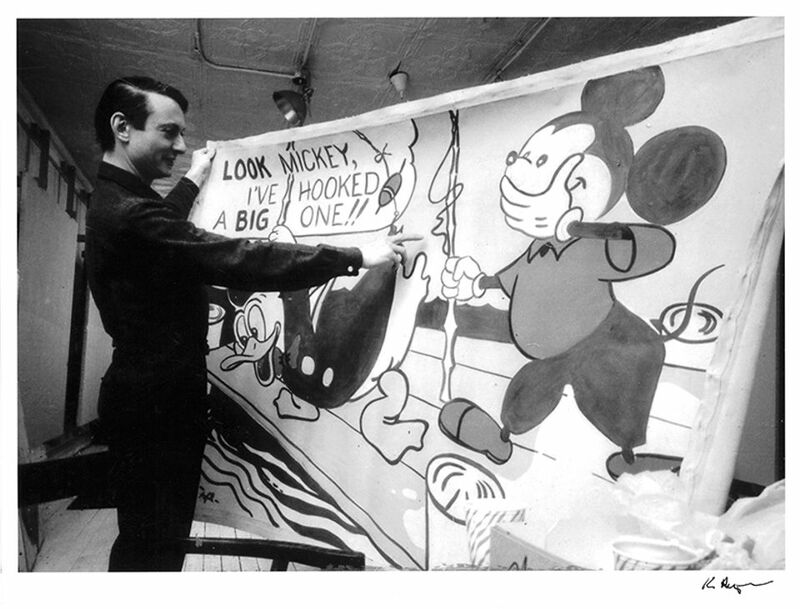 The New York-based Roy Lichtenstein Foundation has made substantial gifts to the Whitney Museum of American Art in New York and the Smithsonian Institution Archives of American Art in Washington, DC in order to fulfil its chief purpose: “to facilitate public access” to the work of the US pop artist, says the foundation’s executive director, Jack Cowart. These are the first in a series of gifts that the foundation plans to give to museums in the US and Europe. Up until this point, Lichtenstein Foundation, which is private, has focussed on publishing and lending works to various exhibitions. “Parting with works to go to art museums who can put them on their walls more normally seems like the more progressive idea, and we felt it was time to start doing that,” Cowart says. The foundation has made a promised gift of 400 works to the Whitney, establishing The Roy Lichtenstein Study Collection, and plans to donate additional works to the museum in the future. The Whitney already has a strong collection of Lichtenstein’s work from the 1960s, the foundation’s gift, which spans the artist’s career from 1940-97, focusses especially on works from the other decades, including early drawings to. Though particularly heavy in prints, with 145 examples, the gift encompasses all media of the artist’s practice, including paintings, sculptures, drawings, maquettes and collages, as well as studio materials to demonstrate his working process. Though there are no confirmed shows based on the gift as of yet, works may be included in various exhibitions as soon as the fall, and a more formal retrospective could take place in the next several years. The gift “is a great opportunity to do really focussed exhibitions”, says the curator and director of the collection at the Whitney, David Breslin. Starting this fall, the Whitney will also organise programming at the artist’s former studio in the West Village, the Lichtenstein Foundation’s home—small groups, since “visitors will have to fit in around our filing cabinets and our desks,” Cowart says. In spring 2019, the Whitney plans to host a think-tank for invited conservators from the US and abroad, with staff from the museum and foundation, to discuss approaches to conserving Lichtenstein’s work. Members of the public will be able to visit the Lichtenstein studio that spring in the annual Jane’s Walk tour of downtown studios, and more programming is expected to be announced at a later date. The Lichtenstein Foundation’s promised gift to the Archives of American art, to be given in stages, includes oral histories, thousands of documentary photographs of the artist, his works and exhibitions and personal and professional correspondence. The partnership between the two organisations to digitise these materials—which total more than 500 linear feet—will take a projected five to seven years. Cowart says that the foundation is eager to “get [the materials] out into the world as soon as possible”, so the works will be made available as soon as they are digitised, granting the public gradual online access.